Part of FCC Yazoo City facilities including:FCI Yazoo City Low with an adjacent minimum security satellite prison camp, FCI Yazoo City Medium, and USP Yazoo City. 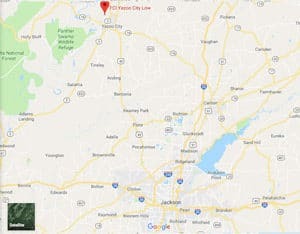 Location: FCI Yazoo City Medium is located 36 miles north of Jackson, Mississippi, off Highway 49. Background: FCI Yazoo City Medium was opened in 2005. It is part of the Yazoo City Federal Correctional Complex (FCC). Health Services: FCI Yazoo City Medium provides primary health care for acute and chronic conditions including diagnosis, treatment, education, and counseling for inmates. Physical examinations, dental services, pharmacy services, immunizations, and special care items (e.g., eyeglasses) are also provided. While emergency care is available 24 hours a day, inmates must submit a sick call form in order to be evaluated for routine care needs. Psychology Services: Psychology services include intake screening, crisis intervention, and individual and group counseling. Inmates must submit a cop-out or visit Psychology Services open house in order to sign up for treatment programs. Group counseling includes stress management, grief group, effective communication, Beat the Streets, and more. These groups are offered on a rotating basis depending upon the needs of the inmate population. Residential Drug Abuse Program (RDAP): FCI Yazoo City Medium does not house a Residential Drug Abuse Program (RDAP), but inmates can be referred to an institution that does provide RDAP. A Drug Education Course, Alcoholics Anonymous (AA), and the Non-Residential Drug Abuse Treatment Program (NR-DAP) are available. Education Services: FCI Yazoo City Medium provides literacy, GED, and English-as-a Second Language (ESL) programs. Adult Continuing Education (ACE) classes are taught by inmates. Examples include Spanish, Real Estate, and assorted Business courses. Release Preparation and parenting programs are also available. The Education Department offers a Special Learning Needs Program for inmates who demonstrate learning difficulties. High school diplomas and post-secondary programs are available through paid correspondence programs. Advanced Occupational Education: FCI Yazoo City Medium does not offer any advanced occupational education programs. Vocational Training: FCI Yazoo City Medium does not offer any vocational training aside from its apprenticeship programs. Apprenticeship: FCI Yazoo City Medium offers apprenticeships in Custodial Maintenance, Teacher’s Aide, Teacher’s Assistant, and Welding. Library Services: Leisure and law library services are available for inmates. In the law library inmates can use the TRULINCS Electronic Law Library, typewriters, and a copy machine. The leisure library offers books, newspapers, and magazines. UNICOR: The FCI Yazoo City Medium UNICOR facility produces clothing and textiles. Commissary: Inmates are allowed to spend up to $360.00 per month on a variety of commissary items. Inmates are allowed to shop once a week on their designated shopping day. Shopping days rotate quarterly. Inmates typically use their laundry bag to carry their purchases back to their housing units. Inmates may purchase their own hygiene items from the institution commissary. Recreation Services: FCI Yazoo City Medium offers both indoor and outdoor activities, including a recreation yard with a covered patio, walking/jogging track, stair steppers, one softball field, basketball courts, two bocce ball courts, two horseshoe pits, and outside pool tables. Intramural programs are offered in basketball, softball, soccer, and volleyball. Fitness and instructional programs include aerobics, racquetball/handball, music, calisthenics classes, stationary bikes, walking/cycling club, exercise mats, stair steppers, and abdominal benches. Other leisure and social activities include board games, acrylic painting, bocce ball, horseshoes, band performances, water color painting, art and leather craft, and games tables for playing cards, dominoes, chess, checkers, backgammon, and Scrabble. Also available are pool tables, ping-pong tables, bumper pool, and television viewing.